Between planning lessons for school and writing about every game I play, I’ve begun to suspect that I may not actually have something to say about certain things. Certainly the terrible games like Dr. Jekyll and Mr. Hyde let me spout elegant prose as rapidly as I spout an elegant stream of profanity while playing the game, and of course the excellent books, once again like Dr. Jekyll and Mr. Hyde, lend themselves to interesting discussions of the pointlessly abstract. But honestly, some things just don’t have much worth mentioning. I’ve always intended to write about Burger Time, for instance, but while concepts of a short order cook trampling food like a grape stamper running around in flagrant defiance of health codes conjures up a delicious opportunity for ringworm jokes, it doesn’t really have much substance to it to write any more than that. Despite the hurdles, however, I now turn your attention to The Last Story, a game so generic that even its developers decided to fill it up halfway with as many fantasy RPG tropes as they could list off in an afternoon, at which point they called it good and went home before the rancid filth of blandness they created could swell up, devour any remnants of artistic integrity still sucking meager nutrients from their soul, and chain them up and whip them until they produced a line of unwanted sequels. They did, at least, learn to avoid the fate of the Final Fantasy XIII team. 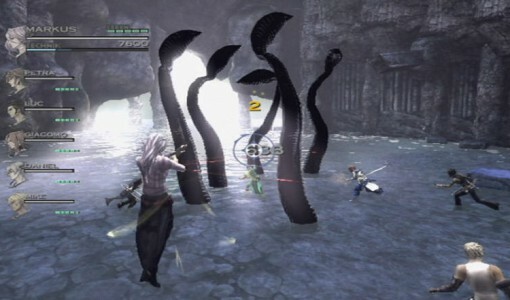 You know, I find it amazing how this in no way resembles the octopus battle from Final Fantasy IV. 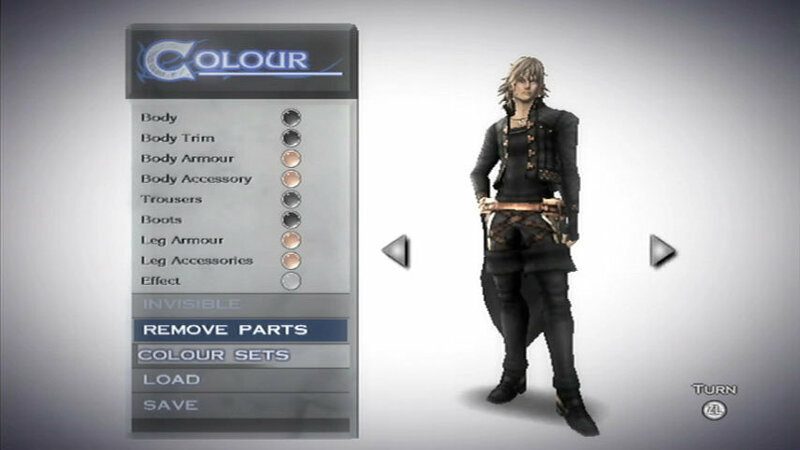 The not-so-subtle Final Fantasy nods in the game indicate the developers intended to take the throne that the giant RPG Series sucked into the void with the last few attempts at reinventing themselves. Obviously the synonymous titles give off a familiar vibe, jabbing our eyes, demanding attention like a Twilight book cover slapped on Wuthering Heights. 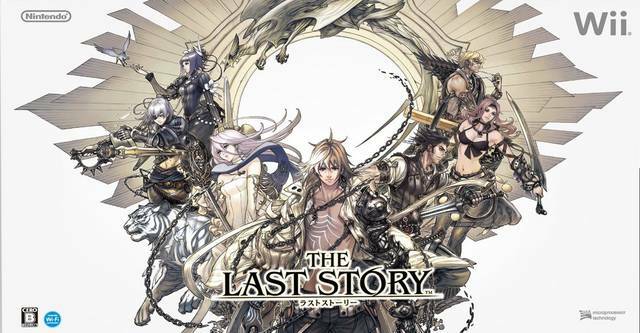 The game weaves personal, political, and worldwide existential crises together, has a similar art style and logo as Final Fantasy, and even shares a few minor similarities such as series creator Hironobu Sakaguchi and composer Nobuo Uematsu. Unfortunately, the legendary developers and beloved Fantasy elements don’t seem to push this game forward so much as drag it with the oomph of a golf cart pulling a dead horse. The game opens with the obligatory action scene. The player takes control of Dagran, a young mercenary who we very quickly learn will act only as a supporting character when, after one battle, control switches to the real protagonist, Zael. As Reptar-themed monsters pour out of the camera’s blind spots, Zael hacks endlessly at them with a Buster-Sword-sized weapon. After a few hours of spamming the A button, I realized that the game hacks automatically, with no need to input attack commands. This made sense in Final Fantasy XII; actually, it seems a bit embarrassing that it took Sakaguchi eleven main-series games before he realized how often we used it. But at least in Final Fantasy, we had the option of programming the characters’ behavior. Yeah, it took the need to thoughtlessly mash buttons–a technique perfect by Shadow Hearts–away from us, but we never lost control, nor did we sacrifice options for battle strategy. 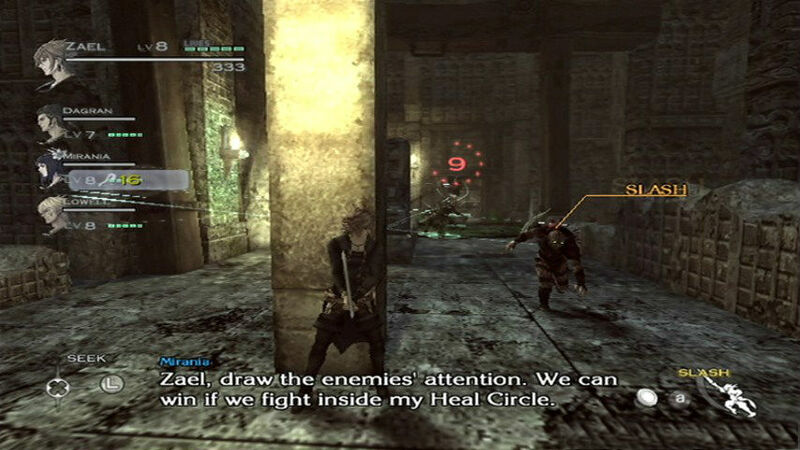 Zael, on the other hand, when he receives the “Supernatural Aid” portion of his hero’s journey, claims the Power of the Outsider, which allows him the ability…to do something else in battle besides hack with a sword. This move requires you to target an area on the ground as you run up the side of a wall. Both actions use the joystick. I didn’t use this often. 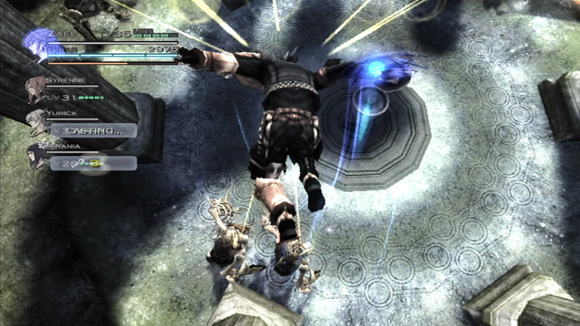 His first new skill allows him to resurrect fallen semi-playable characters while simultaneously tempting all the enemies to hunt him down as their main target. Now you may ask what good will come from drawing all the monsters toward the person you want to revive, but I can say with confidence that Zael’s uncontrollable need to relentlessly slash everything within a two meter radius will keep your companions safely dead until you finally wrestle with the controls enough to get away from the battle. Another skill, the ambush slash, only really works going into a battle, as it requires Zael to hide. A third ability lets him attack friendly magic spells for additional effects. I had some more abilities, but like many other RPGs, the basic attack option works best, and in the Last Story it has the added bonus of not demanding surgical dexterity to perform. Zael putting the moves on Callista, showing her how to look at things like he can. Zael lives to underwhelm. In addition to a handful of battle options, he can fire arrows from a crossbow that the enemies almost feel, and outside of battle he frequently assumes the task of… looking around the environment…for stuff. The game offers roughly 25 to 30 hours of play, which somehow still feels padded, despite its clear disdain for side quests. On an early mission Zael must go to the other side of town to get beer. And if he gets beer, he has to go get more beer. As it turns out, the game expects the player to notice things on the way and get distracted in order to further the story. The lack of direction given the player also serves no end except to pad out a short game to a minimum acceptable length. At regular intervals, the player takes control of Zael, usually as he sits in bed, and proceeds to walk around until something happens. The world doesn’t extend beyond a castle and a town, so chances are it won’t take long before you stumble into the area that triggers the cut scene, but I would appreciate maybe a hint or an arrow now and then. The best suggested strategies in this game more often than not fall terribly short of the standard run-in-waving-your-sword-at-anything-that-moves technique. I did enjoy the story. Tropes become tropes for a reason, and I saw a lot of what I like in the fantasy genre in this story. Unfortunately, the designers didn’t add any ideas to the story–except, apparently, a blues harmonica player–so I could predict twists and turns in the plot most of the time. They clearly intended the identity of the final boss to shock the player, but when the ally who had acted suspicious through the whole game suddenly failed to join the party during the final dungeon, I didn’t exactly lose my breath; I’d wager that more Superman fans would have trouble identifying Clark Kent. Also, while the length of the game makes it possible to play an RPG without asking time off from work, it also detracts from developing any of the characters enough to have their actions make sense. 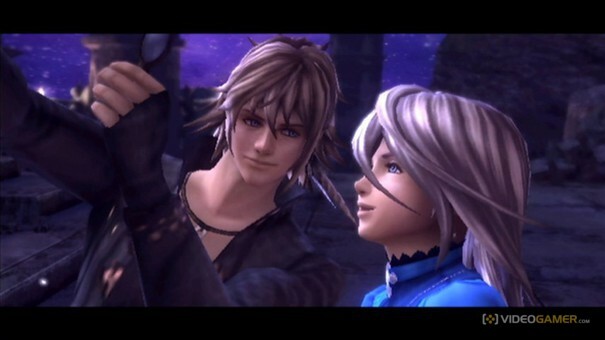 From what I gather, they announced “The Last Story 2“ a while back, but only as an April Fool’s joke. I would have liked to see improvements on the game; it has potential, even if can’t deliver in the first instalment. 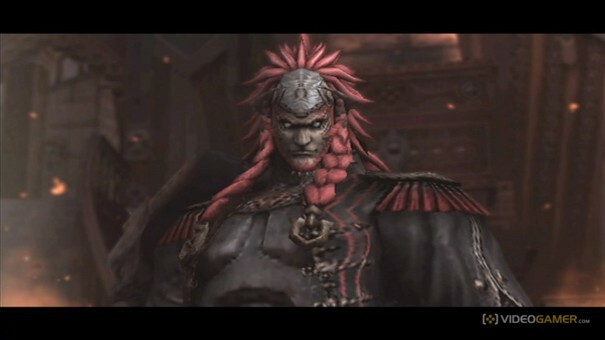 Besides, I hated Final Fantasy XIII enough that I want other series to succeed, but I may have to wait a little longer. The game doesn’t offer much in the way of armor variety, but it allows you to change the color. I usually went with the “invisible” dye. Coming up soon: Minecraft, and Dragon Quest IV–if I can pry myself away from Minecraft long enough to play it.